Readers, I had another moment of glee and delight this week. The lovely people at Sugar and Crumbs posted out to Twitter that they were looking for bloggers to review their newly launched products. Having worked with them before on the launch of previous flavours, I was delighted to be asked to take part again. 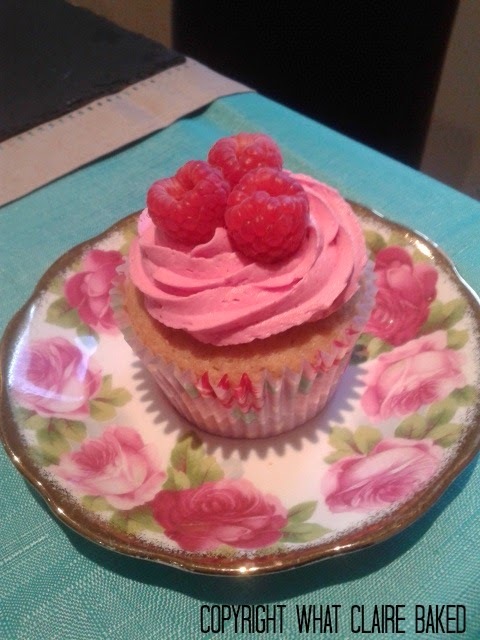 My first project is working with the new Sugar and Crumbs Pink Lemonade Icing Sugar. I thought it sounded the really interesting summery concept. Now, I’m fully aware we aren't there yet on summer weather, but in my mind we are! I have to be honest; at first I was a little skeptical. I tried a taste of the frosting on its own and it was a little sweet and unidentifiable… until the little pop of fizz hit me. Yep, it’s definitely lemonade and I’m back to my childhood long summer holidays playing in the garden with friends. 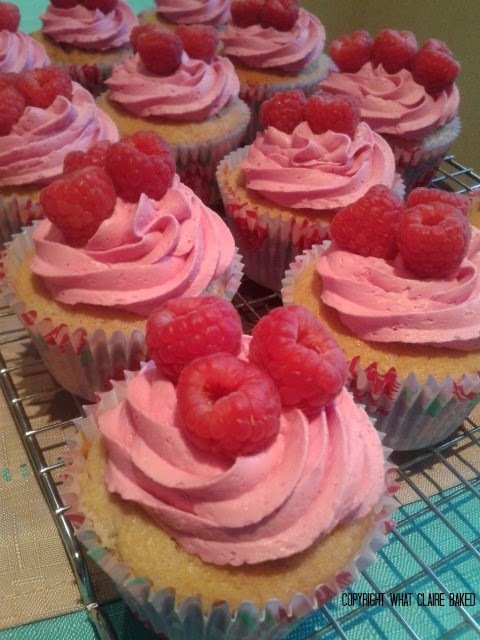 I decided to pair the pink lemonade icing with fresh raspberry cupcakes for a full on summer vibe. The whole batch was demolished by the office; with some saying these were the best effort. So it looks like we have a new army of pink lemonade fans. Sugar and Crumbs really are a fantastic company. So far, I've only used their flavoured icing sugars but I can highly recommend the salted caramel, orange drizzle, lemon drizzle and the new pink lemonade varieties. And for now, transport yourself to a summer’s day, with my recipe! Firstly set aside 36 whole berries for the topping. Then place the remaining berries in a blender or food processor and blend until smooth. Set aside. Cream together the butter and sugar until light and fluffy. 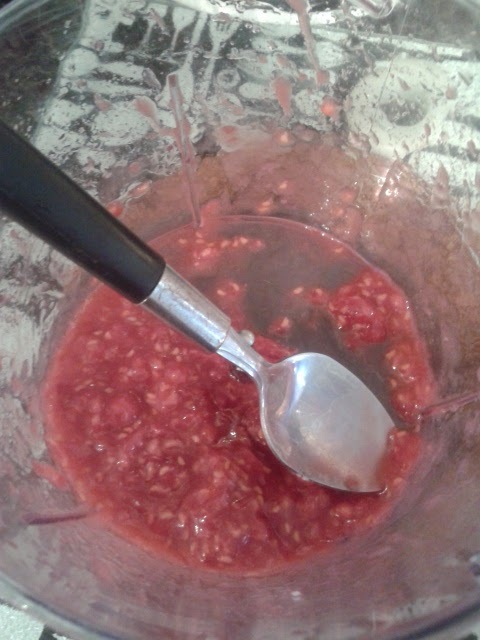 Then add in the fresh raspberries and mix together with an electric mixer. 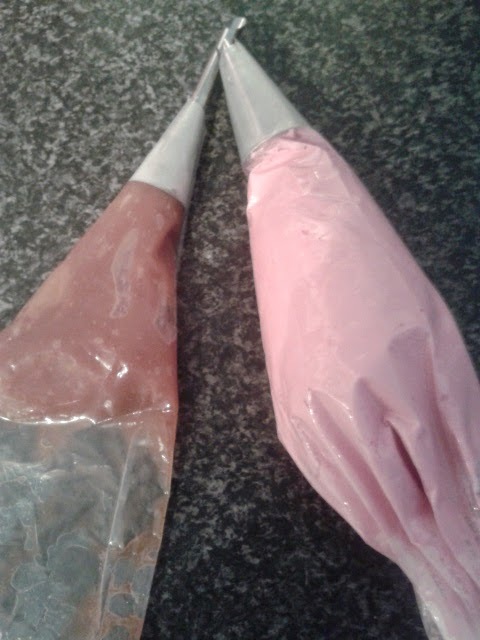 Transfer 4 heaped teaspoons of raspberry curd to a disposable piping bag fitted with a cupcake filler long nozzle (I got one in The Range). If your curd has been in the fridge, once inside the bag, loosen it with warm hands to make it easier to pipe. 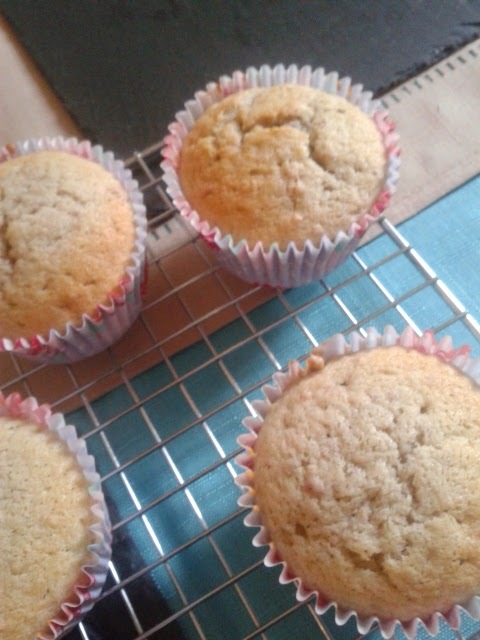 Check cakes are fully cooled. 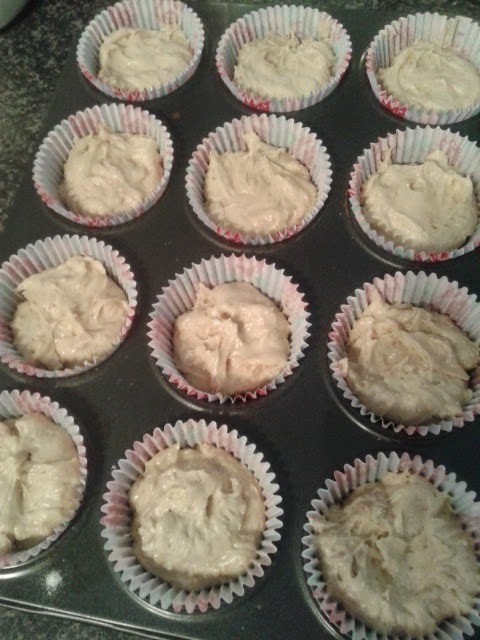 Insert the nozzle into the top of each cake and with a small, light squeeze, fill the cake with a little curd. Remove the nozzle and ensure that the filling doesn’t come out of the top of the cake. Chop 125g of unsalted butter and add to a clean bowl. 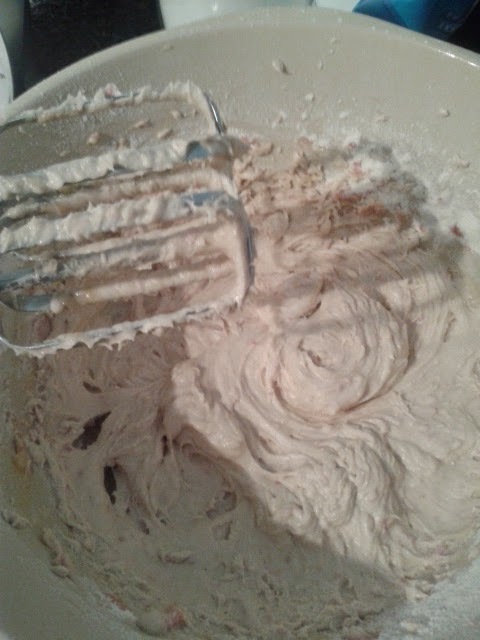 Using an electric mixer, soften the butter until it becomes light and creamy. 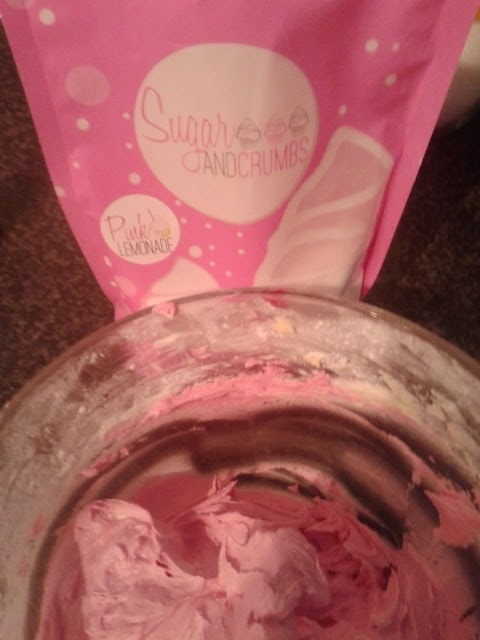 Slowly add in the 125g of Sugar and Crumbs Pink Lemonade icing sugar and beat into the mixture. Then add in the rest of the icing sugar and beat until all the icing sugar in incorporated and a smooth buttercream is formed. Add in some pink food colouring and beat to incorporate. Keep adding until you reach your desired colour. Transfer the buttercream to a piping bag fitted with an open star nozzle. Pipe a swirl onto the top of each cake and then top with three fresh raspberries. Store in an airtight container for 2-3 days or serve immediately. I'm entering this post into Treat Petite this month, hosted by Kat at The Baking Explorer. Stuart at Cakeyboi hosts on alternate months! Disclosure Statement: I received the samples from Sugar and Crumbs for free, to bake with. Any opinions expressed are my own. These look so good Claire - Thanks for joining in the Treat Petite fun! Thanks Stuart! Always try to enter when I can! Thanks for taking the time to leave a comment Alison. Must be... infact, could be one of your 5 a day? !